In 2008, Bitcoin launched as the world’s first peer-to-peer currency system that brought with it an entirely new paradigm in the form of blockchain technology. In the years since Bitcoin continues to stand as the most recognizable example of a cryptocurrency – yet it is no longer alone. In the years since Bitcoin’s emergence, other cryptocurrencies have emerged to fill not only the space left by Bitcoin, but have applied blockchain technology to various spheres and challenges around the world. While together their emergence marks these projects as digital currencies, projects outside the scope of Bitcoin are sometimes referred to as ‘alternatives to Bitcoin’- or altcoins. Altcoins can either take the form of an entirely new digital currency project or can leverage the open source nature of other initiatives to achieve different goals. Specifically, altcoins can introduce different monetary policies that encourage different use cases or treatment such as by introducing minimum spends, positive or negative interest on holdings, or even changing stances on mining – the way through which new cryptocurrencies enter a financial system. While many altcoins are created as the result of ‘forks’ – wherein either a cryptocurrency project is duplicated and started anew in a ‘cloned’ interpretation where changes can be made, or a project is split in two by community disagreement over a proposal for improvement – some are created through the process of an Initial Coin Offering which, like an Initial Public Offering, introduces a new coin or token to a market in a bid to raise early capital or market capacity. 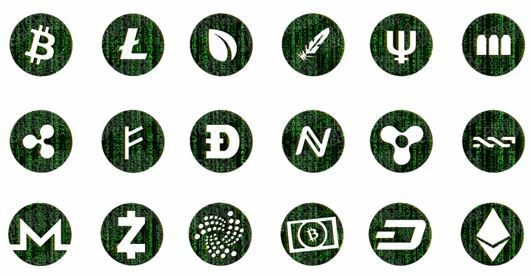 Many altcoins, since their introduction, have begun to be widely accepted and recognized next to the media frenzy that has promoted Bitcoin into the worldwide view. Ethereum, perhaps the most recognizable altcoin, is the result of a development platform which, rather than serving as a peer-to-peer currency, is designed to program binding agreements – called Smart Contracts – into the blockchain itself. Other projects take similar root to Bitcoin. Litecoin, another recognizable altcoin, was designed by former Google engineer Charlie Lee; by using the fundamental technology of the Bitcoin blockchain with added improvements, Lee was able to craft Litecoin into a peer-to-peer currency network that sees transactions take place far more quickly. Some altcoins are expressly designed to have a wildly different use case or utility. CoinInsider reveals that the Golem Network, for example, allows users to let portions of their computer’s CPU (or, accordingly, rent portions of other CPUs) through a worldwide distributed network of computers. The Golem Network leverages Golem tokens – a means of exchange to facilitate the use of CPU cores around the world that together form a worldwide supercomputer. At their most basic level, altcoins serve to decentralize the utility offered by Bitcoin and provide new and interesting ways to make use of blockchain technology, and further provide Bitcoin with healthy competition in terms of both intellectual capital and fiscal worth. While it remains to be seen if another cryptocurrency will ever reach the same peaks of triumph and valleys of loss experienced by Bitcoin, altcoins provide a way for both passionate investors to stake their claim in a project they can believe in, or for seasoned traders to earn money through well-placed trades. For those who want to buy altcoins click here, there might yet be a blockchain project that offers staggering returns to committed investors.